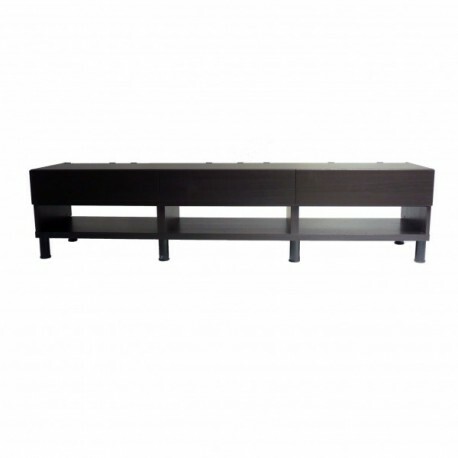 TV storage combination lacquered in black with metallic details. It is perfect for small spaces as auxiliary furniture. 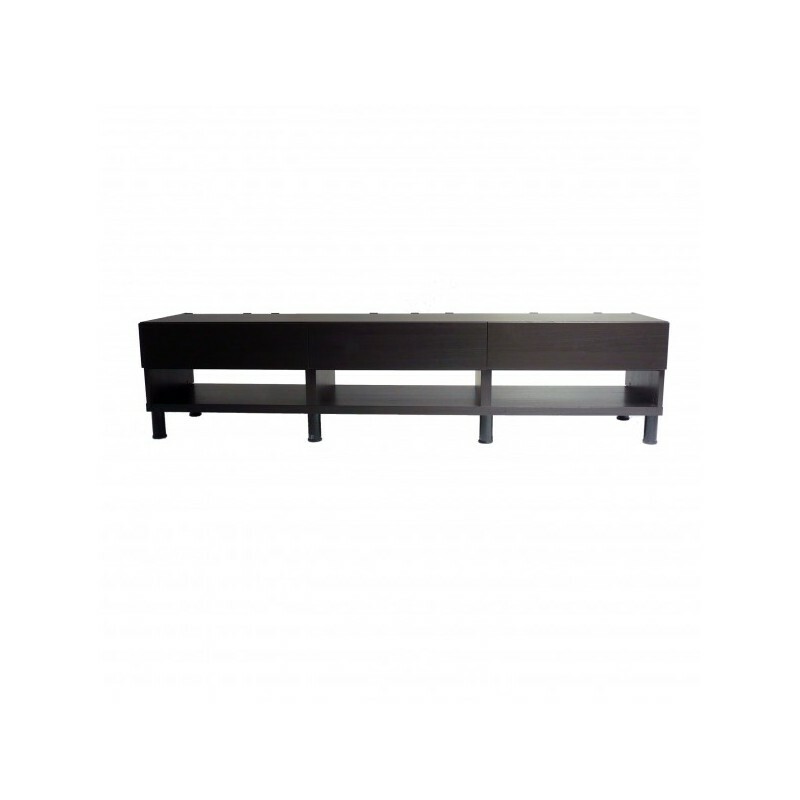 Shelves and drawers are available for this item.